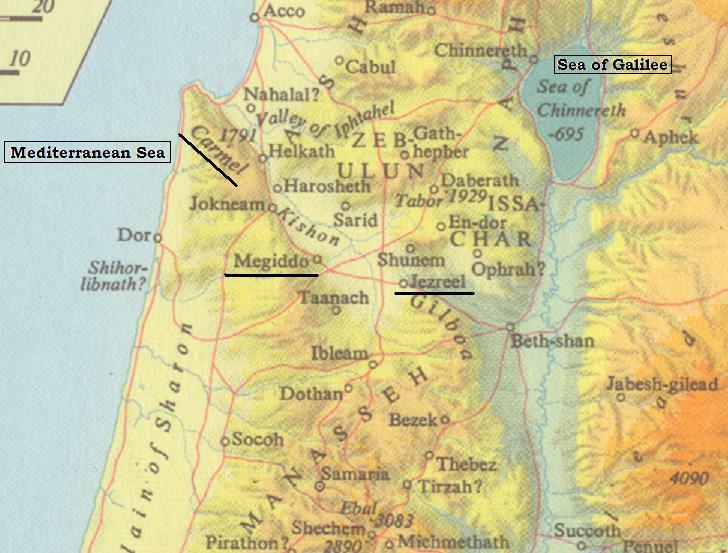 The following map is a close up portion of the above map, centered on Megiddo. 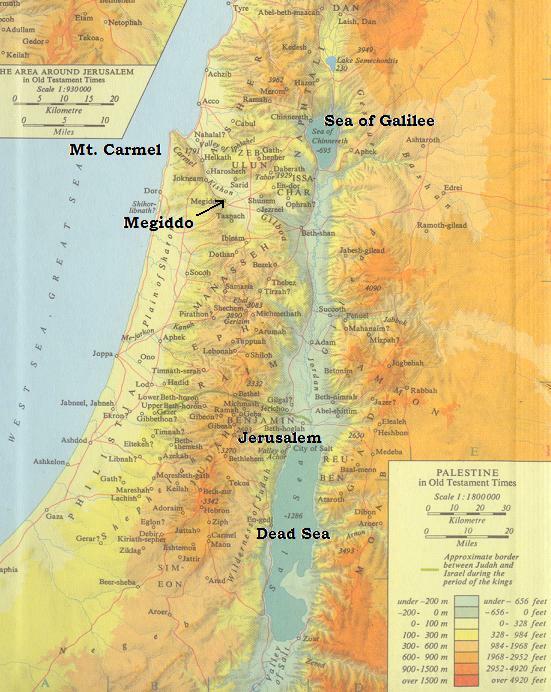 Note that Megiddo is located in the plain on the road from Carmel to Jezreel. Northwest of Megiddo is Mount Carmel.